Whether you are planning an exhibition, open day, product launch, celebration dinner, or just a day of fun, Irvin Leisure supplies the infrastructure and entertainers necessary to ensure a successful event programme. From White Knuckle rides to small stalls, from Inflatable to Bungee rides, we can provide the total fair experience for your event, all fully insured and risk-assessed. Irvin leisure specialise in hiring funfair rides and fairground attractions to corporate and private clients. 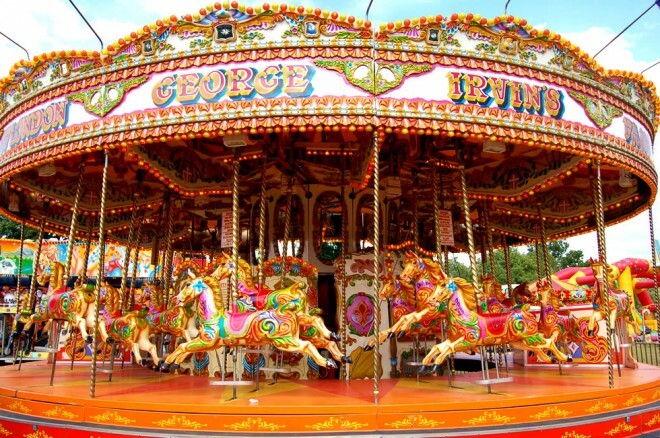 If you are looking for fairground rides to buy then please see our funfair rides for sale page. As well as fairground rides and stalls, we can provide Marquees, flooring, generators, lights and even mobile toilets. Having trouble finding a caterer? Don’t fret! From full buffet and silver service catering, to burger, confectionary and Crepe Stalls – help is at hand. For something a little different, why not try a hog roast?